I love fall. 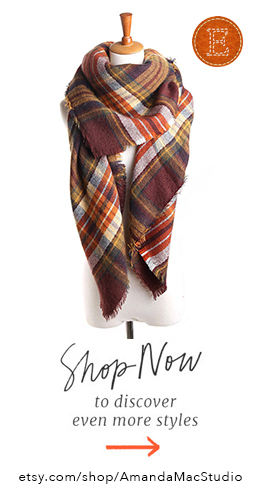 I mean seriously, love fall. It’s one of the biggest things I miss about the Midwest. Living in California, the closest I come to experiencing a real Autumn is putting on a pair of cognac riding boots and ordering a pumpkin Spice latte from Starbucks. Around here, you have to make your own fall, so riding boots on and PSL in hand, I did exactly that. I made fall. I have been craving a butternut squash something (anything!) so went ahead and purchased a big ol squash on my weekly run to Trader Joe’s. After a few days of the vegetable just sitting there, staring at me in the kitchen, I knew I had to put its sweet, buttery insides to use. But what to make? I really wanted ravioli. I used to work at Biaggi’s Italian Restaurant back in the day and was completely craving their recipe. But let’s be honest. Ravioli? I mean, homemade ravioli? Yeah right. What am I, Barefoot Contessa? I needed a simpler recipe. So I did what I do best and always do—I improvised. Heat your oven to 400 degrees. Cut your squash in half (the long way) and remove all seeds and, technically speaking, the stringy gunk stuff. Brush the flesh side of the squash halves with coconut oil (or olive oil) and place face down on a greased baking tray for 1 hour or until squash is tender. When your squash is ready, remove it from oven and transfer the inside of the squash to a mixing bowl—careful, the squash will be hot! Discard the squash skin. In the mixing box, add in the nutmeg, salt and pepper and cream. Mash the ingredients together until you have a mashed potato like consistency. Spoon the mashed squash into your cooked pasta shells. One note I must add before you plan to make this amazing sauce, you may have trouble finding fresh (or even dried) sage leaves. I live in San Diego, and even I had trouble. Just use dried sage if you can’t find fresh leaves—I did. Also, my recipe calls for walnuts but if you look at my picture, I obviously used pecans. Use walnuts if you have them—I just didn’t feel like making another trip to the store! With your stove top on love, melt your butter in a saucepan. Once melted, add in your sage and walnuts, stirring occasionally, until your butter starts to give off a nice brown color. 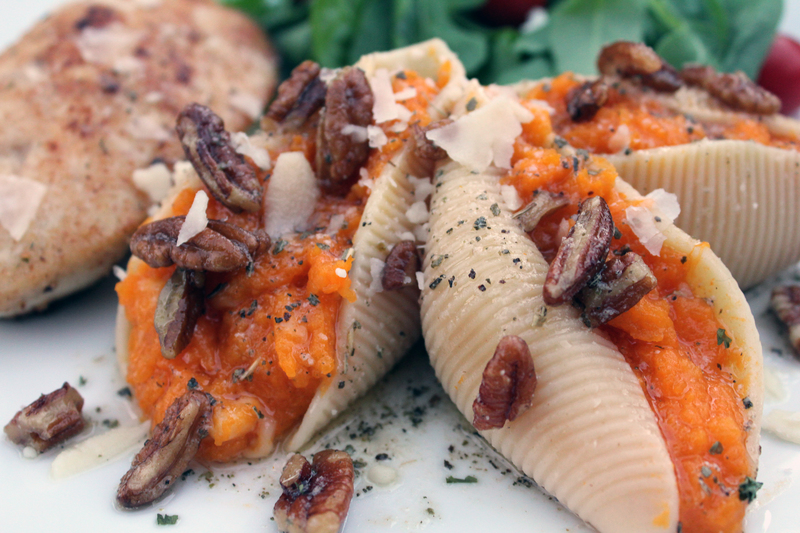 Pour over your butternut squash shells and serve. Your autumn craving guests, Midwesterners and Californians alike, will be sure to ask for seconds. Bon appetite! Wish I could get Brad to try “new” things, looks good! !